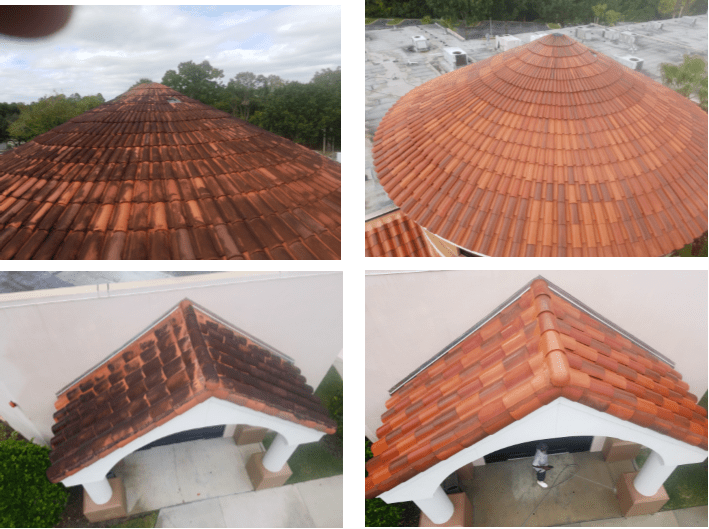 As commercial pressure cleaning specialists, A1 Orange technicians know the best equipment, products, and psi to safely pressure clean every surface on your commercial building — from walls, awnings and tile roofs. 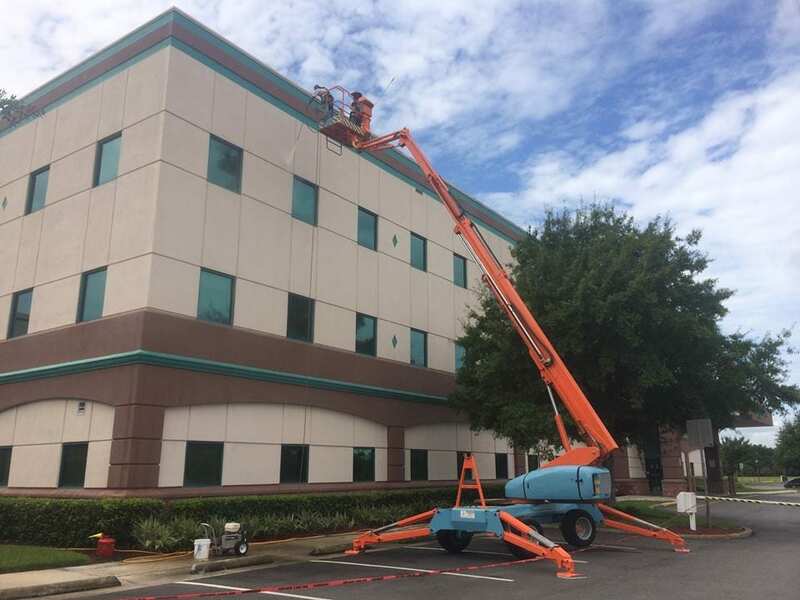 Regularly scheduled A1 Orange pressure cleaning removes dirt, cobwebs, debris, and algae from sidewalks, curbs and outdoor plazas, exterior building walls and roofs, truck courts/garages and pool decks, fountains and retaining walls. If you have staining due to rust, efflorescence, minerals, oil and/or vehicle fluids, you may need our stain removal services. Our experienced technicians utilize propriety combinations of equipment and products to remove even the most difficult stains. Prior to providing a stain removal estimate, A1 Orange may send a technician to determine the best removal methods, using propriety combinations of equipment and products. Should pressure cleaning be done first or window cleaning? Exterior pressure cleaning should be done first, and then the windows. 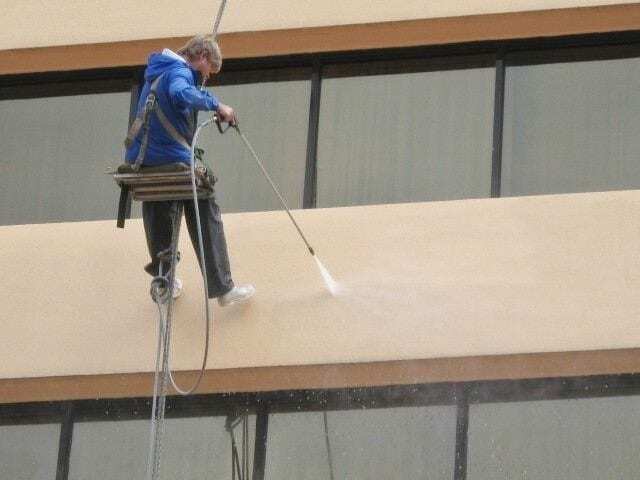 Is there any cost savings by scheduling window cleaning and pressure cleaning services at the same time? Yes, because it is one mobilization instead of two. Why shouldn’t you just go with the cheapest pressure cleaning bid, is there really a difference? Because all pressure cleaning services are not the same! Done poorly, your sidewalks and surfaces can actually look worse after pressure cleaning – streaked, unattractive, unevenly cleaned and possibly damaged. 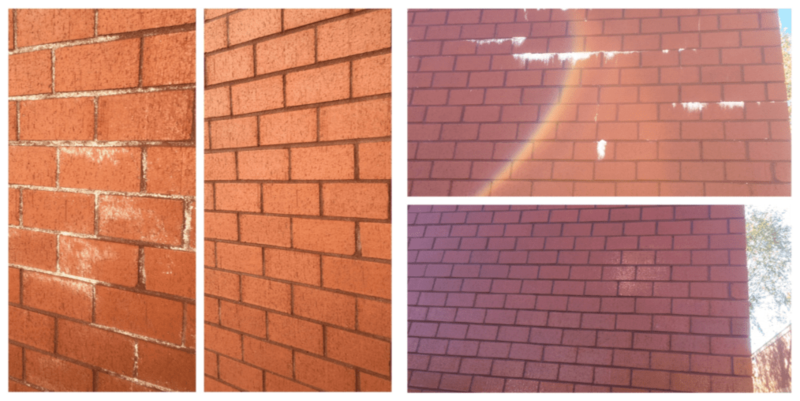 The best frequency for regular pressure cleaning to protect and beautify your property’s exterior depends upon your property’s unique characteristics (dirt/landscaping debris accumulations, proximity to exhaust and pollution, available sunshine, traffic and more) and your budget. If you have an area that is subject to staining from oil or debris, more frequent pressure cleaning maintenance can save you money and keep your property safer.